A man who was test driving a vehicle from a car dealership near Birmingham is wanted by the police after they failed to return with the vehicle after the specified 30-minute period. The unknown motorist took a silver Peugeot 307 from Michael Kiernan Cars in Birmingham Road, Ansley, at 1pm on Monday (5 May). The police are looking for a man suspected to be around 28 years of age with a slim build and short hair, the Tamworth Herald has reported. This story provides a valuable lesson to any motor trader that is offering test-driving services – while you should have demonstration cover in addition to your standard motor trade road risk insurance policy to cover any accidents that occur when a vehicle is being taken for a spin by a potential buyer, you should always accompany them in the vehicle as well. The test driver must also present valid driving licence; without doing so and without an employee in the car, the dealership will not be covered should the vehicle be stolen or damaged while on the test drive. Speaking to motor trade insurance brokers such as Bollington is strongly advised; while insurance quotes can be obtained online, it is better to get the most accurate and comprehensive coverage for your business by speaking to the experts. This can often result in better prices on your policy too. 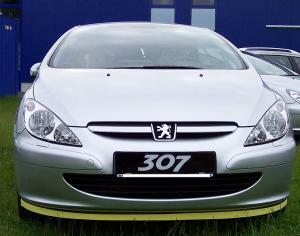 The registration of the Peugeot in question is KU03 AEX. It is one of three car thefts from over the bank holiday weekend that took place in the Tamworth area, the police have said. Elsewhere a BMW One Series was stolen from a driveway in Warton with the registration FX56 YPP. Thieves also stole a white Mercedes Sprinter van, registration KU10 DUA from Tamworth Road in Middleton. Anyone with any information is being urged to contact police on 101.